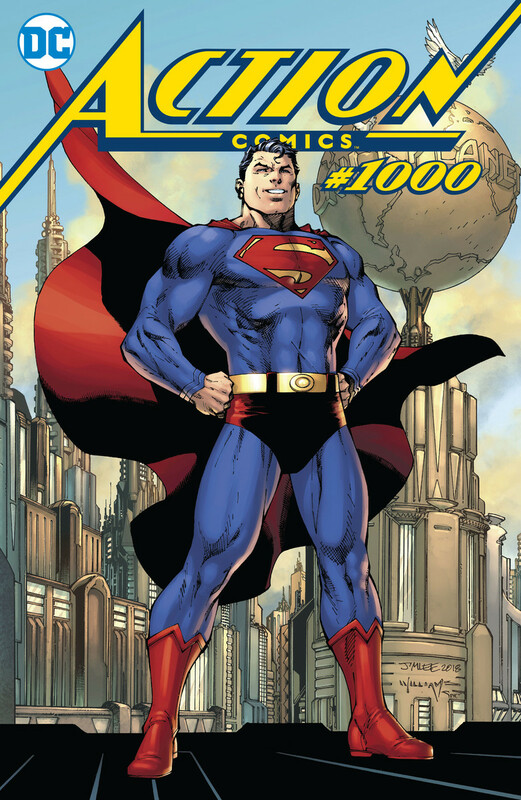 Following the release last month of the milestone Action Comics #1000, DC Entertainment has announced the celebration will continue this fall with the publication of deluxe hardcover edition, complete with scripts and sketches. Action Comics #1000 Deluxe Edition hardcover will include the 80 pages of stories and art from such creators as Brian Michael Bendis, Jim Lee, , Dan Jurgens, Norm Rapmund, Peter J. Tomasi, Patrick Gleason, Tom King, Clay Mann and Geoff Johns. It will also deliver side-by-side panel comparisons for the Tomasi/Gleason story “Never Ending Battle,” original art from Marv Wolfman/Curt Swan story “An Enemy Within,” the Paul Levitz/Neal Adams story from Action Comics: 80 Years of Superman, “The Game,” design sketches from Lee, and complete reprints of 1938’s Action Comics #1-2. The hardcover will be available in comic shops Sept. 26., and book stores Oct. 2 for $19.99. The post DC Announces Action Comics #1000 Deluxe Hardcover Release appeared first on CBR.